Add your favorite included Emblem to this 100% Heavyweight cotton Ultra blend T-shirt. Sizing from small to triple extra large. 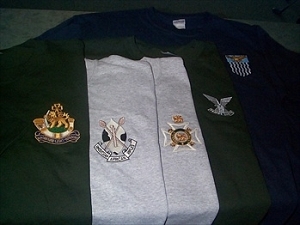 Note, only certain emblems are available due to the thickness of the apparel, on thinner apparel such as t-shirts some full area emblems will bag in over time due to high stitch counts.